Port forwarding is a configuration in the router of a LAN such that any connections to a specific port number on the public/wan ip of the router may be forwarded to a specific machine/ip inside the LAN. 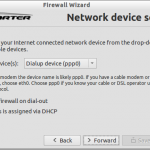 Most routers allow configuration options to set port forwarding. 1. An application on local computer must open the port and wait for connections. 2. A machine from the outer network/internet must try to connect to this port number via the router. This will confirm that port forwarding is working. If the website shows that port is closed then netcat too would not show any such connection message indicating that port forwarding to that particular port is not working. There may be a number of reason why port forwarding didnt work. One common reason is the existance of a firewall on local system. For example zonealarm on windows, or firestarter on ubuntu/linux. 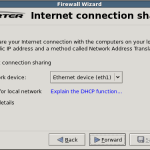 Firewalls block incoming connections on local machines and need to be configured properly. So configure your firewall to allowing incoming connections to the particular port.